Orange Elephant Ice Cream is made onsite using milk from our cows. The farm is set over 500 acres and the Taverner family have been dairy farming here for five generations. The Taverner family have farmed Lower Brenton for 100 years. Robert and Helen have been on the farm for the last 25 years. In 2016 son Will became the fifth generation in the business, having just graduated from Exeter University. 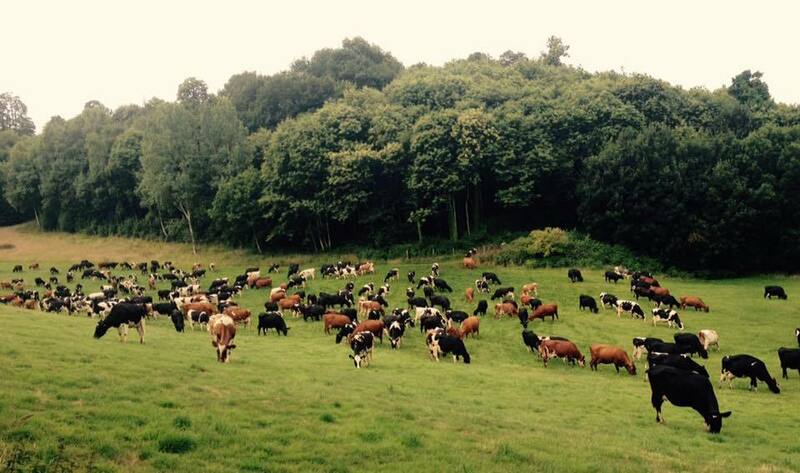 In our milking herd, we have 300 Devonshire milking cows and Friesians. The herd is milked through a 40 standing 20 milking unit parlour. 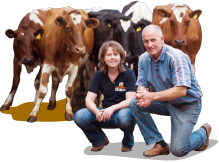 Back in 2005, Rob and Helen Taverner began a project to re-introduce the Devonshire Milking Cow, giving Devon its very own milking breed once again. Beginning with a small number of pedigree South Devons, they began to use the creamy milk for making Orange Elephant Ice Cream. However, our wonderful Orange Elephants don't really produce enough of their milk. With a clever system of cross breeding, Rob and Helen are using the genetics of the Short Horn and Danish Red to give the Devonshire Milking Cow a greater milk yield with the same level of creaminess. The cows graze grass for much of the year and only come into the sheds in the depth of the winter to have their calf.